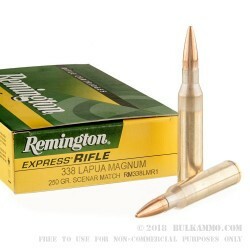 This Remington Express .338 Lapua Magnum Scenar match ammo is rimless and is a bottlenecked centerfire rifle cartridge with an open tip, boat tail design. These Lapua Scenar projectiles have set the IBS World Record in the 600yd heavy gun with a five-shot group measuring .404”. It also holds the official world ISSF record with a perfect score of 600 out of 600. That’s pretty impressive!! 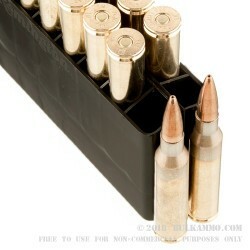 As you can see, these rounds are the first choice for superior accuracy. 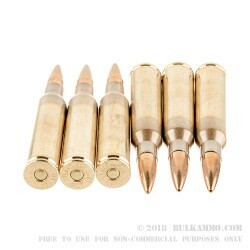 These Scenar rounds are open tipped match bullets with boat tail design. They are perfect for competitive shooting and have a fantastic track record at mid and long-range rifle and bench matches at an international level. The .338 Lapua Magnum was developed during the 1980’s as a high powered, long range sniper round for the military. It was used in current conflicts such as Iraq and Afghanistan. As a result of its popularity among the military, it has become more widely available. These rounds are extremely thick-walled designed to promote reliable feeding and extraction for bolt-action, and semi-auto weapons under extreme conditions. 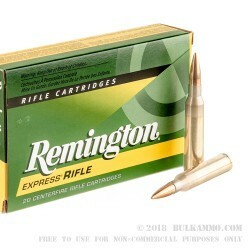 Remington has been a huge name in ammo and weapons for well over a century. Their dedication to precision and quality goods has kept them in the top. This .338 Lapua Ammo by Remington Express- 250gr HPBT Scenar Match ammo is brass cased, boxer-primed, non-corrosive, reloadable and manufactured in their ammo plant in Arkansas. Muzzle velocity is 2960 fps and muzzle energy is 4863 ft/lbs.